anticipated album Money Changes Things as his insouciant, yet cultivating body of art, following up from his three top leading singles of 2017. Money Changes Things instantly puts you in a space to create a positive atmosphere with his back to back bangers. P. Nickz doesn’t surprise his fans with automatic head nods, to a considerable load of great lyrics and majestic beats, but may take new listeners by storm. Producers Ric & Thaddeus, Cash Jordan and BNJMN makes a feature, for fan favorites like Way Before, Came Thru and The Spiggidy. P. Nickz connects with his audience in a way that allows them to hear his point of view. “When you first get the album, I much rather you listen to the songs in order,” said P. Nickz. “The track list tells a story of how I got to the point of my life today.” P. Nickz and his features, creates the essence that allows you to experience the lyrics in your head and understand their point of view. 2018 is already moving in the right direction with the release of Money Changes Things. Before the album dropped, P. Nickz was able to capture a great audience with his lead singles Way Before, Black Billionaires and The Spiggidy, after being featured on countless of popular blogs. He has moved quickly with creating his own platform, with his own record label Mansa Empire Entertainment. “It’s all about M.E.E.,” says P. Nickz. 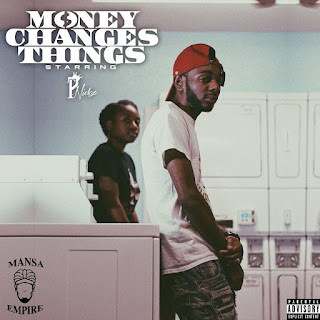 Money Changes Things is available on all digital platforms for purchase and download. For more information, promo requests or to set up an interview with P. Nickz, please contact him by email at mansaempire@gmail.com. Keep up with P. Nickz on Instagram, Facebook and Twitter: @p.nickz. P. Nickz got his name from the first initial in his government name combined with “nickel bags”, from being the youngest dope dealer around. He gained his popularity with song Two Cent in May 2015. P. Nickz has recently worked with Detroit artists Dre Butterz, Biance B.A.D.D., and Ltl Trey for hit singles Rich N*gga Avenue, Vegas Nights and Positive Vibes. With over 10,000 views, collectively, both on YouTube and SoundCloud, P. Nickz continues to drop bangers that gives automatic good vibes.